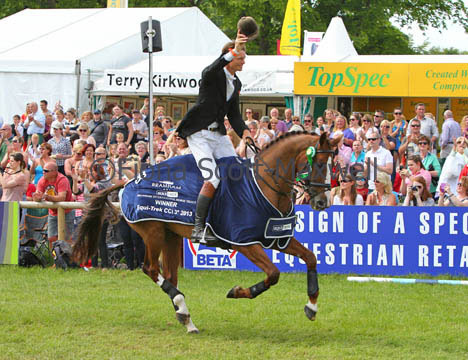 It was a very successful weekend at Bramham with Chilli Morning defending his CCI*** title to win for the second year running. Saturday’s cross country caused a good amount of trouble but Chilli felt fantastic and cruised round finishing several seconds under the time. With overnight leader Pippa Funnell having a stop on course this left Chilli out in front going into yesterdays show jumping phase. He came out looking great yesterday morning and trotted up very well. He then jumped a superb clear in the show jumping to win comfortably by 5.2 marks. It was really great to have him feeling back to his best after his misdemeanor in Kentucky and he will now have a quiet few weeks before his owner Chris Stone & I discuss where he goes next. 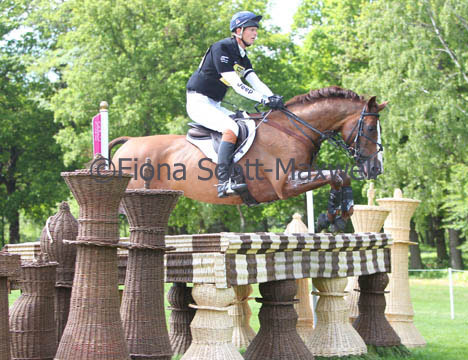 Also in the CCI*** Running Order didn’t have quite such a good weekend. He had a frustrating glance off at a corner on Saturday, which put pay to his chances of picking up a place. I took him steadily after this and he picked up several time faults. He came out feeling quite tired yesterday, rolling three poles as well as picking up 4 time faults. He will have a quite few weeks before I decide where he will go next. 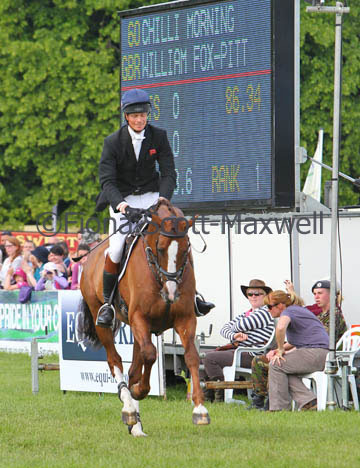 In the CIC*** Before Time finished in 15th place which I was delighted with for his first 3*. He was quite fresh in the show jumping but on the whole jumped very well and just rolled an unlucky pole. He gave me a great ride across country but I didn’t rush him and he picked up 10 time faults, which dropped him down the order a little. 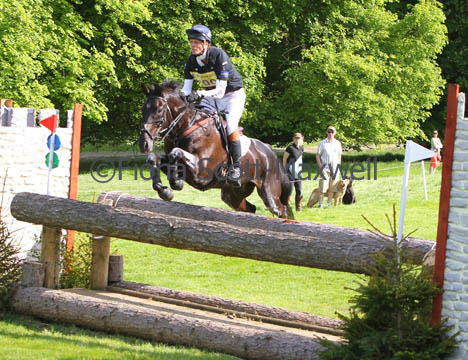 He will have a few more OI/Advanced runs before possibly heading to Blair for the CCI*** in July. 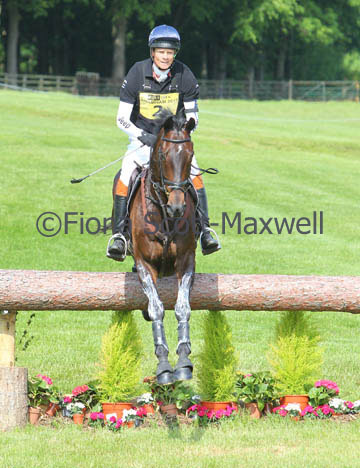 Once again Bramham was a great competition with the cross country on Saturday causing a fair amount of trouble and a long and demanding show jumping track yesterday. The weather was fantastic and the team at Bramham were as brilliant as ever. I am also very excited that we will be getting a new Equi-Trek thanks to Chilli. The ‘Sonic’ we won last year has been a real asset to us and it is such a great prize to have so I am looking forward to having another one. We have another quick turnaround of the lorry and staff today before heading off to Luhmuhlen this evening with Neuf Des Coeurs, Lionheart and Cool Mountain to contest the CCI****. 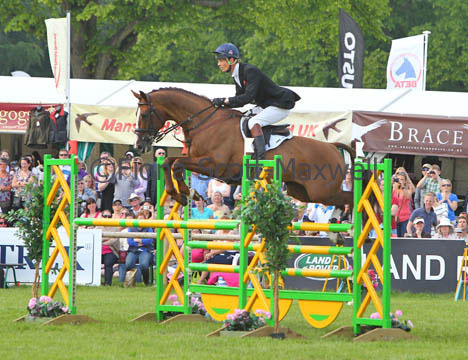 Click here to view the full results from Bramham. Chilli Morning wins the CCI3* for the second year running. Thanks to Fiona Scott-Maxwell for the great pictures.